Here it is, the big day . 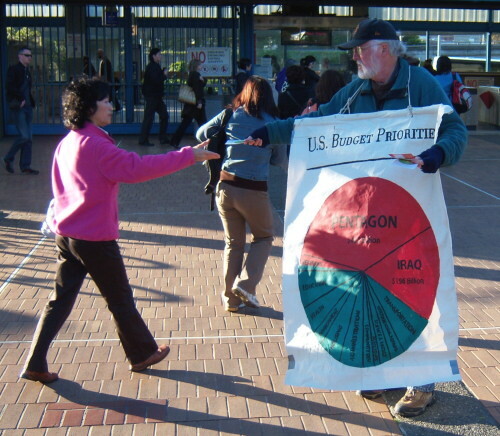 I’m fresh back from holding signs and banners and handing out pie charts at a local BART station in the cold pre-dawn commute hours. In an hour or so, with some trepidation, I’ll see how well my message goes over at the “Tea Party” protest. The I.R.S. made three corrections to my tax return this year. All of them were in my favor. Two baffle me, and one embarrasses me. Tax returns are difficult. Also: the skinny on this year’s upcoming “Tax Day” actions. 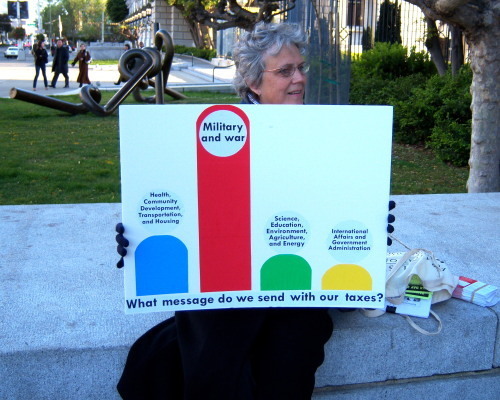 Help me to prepare a budget-priorities bar chart for Tax Day. 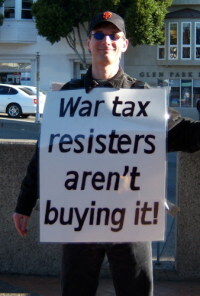 Also: an anonymous war tax resister tells of her twenty years of staying one step ahead of the I.R.S. Father Louis Vitale resists criminal fines and Tim DeChristopher disrupts a government auction — two unusual ways of getting between the government and its revenue. Also: another graphical representation of federal discretionary spending priorities. And: putting the “Tea Party” tax day protests in historical context. 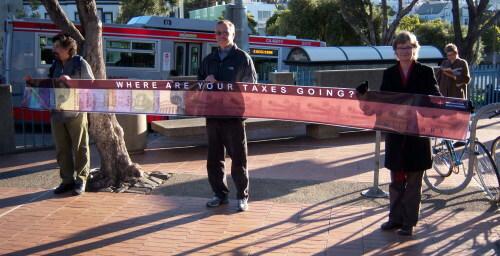 This tax day, along with the war tax resisters and tea baggers, there’ll be folks protesting that gays and lesbians are still paying for a first-class ticket with their taxes but getting a second-class citizenship in return. Also: the torture of tens of thousands with long-term solitary confinement, arguments for tax resistance, liberals deprecating dissent, students playing Bartleby on standardized tests, and more about this year’s tax day protests. Some photos and impressions of the “Tea Party” in San Francisco yesterday. Mary Theroux cuts off the government for breach of contract. Also: Charles Madigan throws down the gauntlet to the Tea Party protesters. And: news about the next international war tax resistance conference, eating sustainably and ethically on a food-stamp budget, and how thinking you’re a good person can be a substitute for being one. The San Francisco Chronicle splashes war tax resisters on the front page of the business section, and as the lead article on their web site. 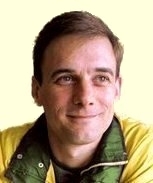 Also: Raising Sand Radio and Justice Talking radio compete to cover the war tax resistance beat.